Dr. Jeremy Hon is a medical oncologist from Huntsville, Alabama who specialized in oncology and had more than 20 years of experience. He got his medical degree at the University of Alabama School of Medicine. He completed a fellowship in oncology and his residency in internal medicine at the University of Texas Health Science Center. 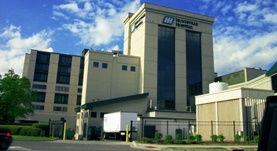 He is associated with Huntsville Hospital and Crestwood Medical Center. Dr. Jeremy Hon has contributed to 3 publications. Hirsh, V.,Okamoto, I.,Hon, J. K.,Page, R. D.,Orsini, J.,Sakai, H.,Zhang, H.,Renschler, M. F.,Socinski, M. A.; J Thorac Oncol. 2013 Dec 19. Community-based phase II trial of pentostatin, cyclophosphamide, and rituximab (PCR) biochemotherapy in chronic lymphocytic leukemia and small lymphocytic lymphoma. Dillman, R.O., Schreeder, M.T., Hon, J.K., Connelly, E.F., DePriest, C., Cutter, K.; Cancer Biother Radiopharm. 2007 Apr. Hainsworth, J.D., Gray, J.R., Morrissey, L.H., Kalman, L.A., Hon, J.K., Greco, F.A. ; J Clin Oncol. 2002 Jul 1.